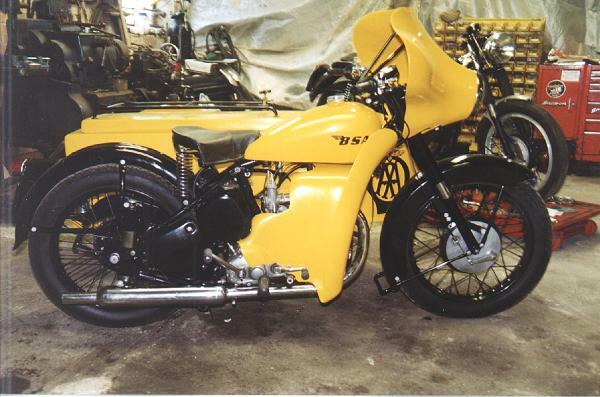 1959 BSA M21 600cc Side Valve. The antiquated side valve engine, which was designed to meet the demands of the army and was sold off to the public after the war. Not fast and the brakes were adequate, but this was, and still is, a very rugged machine. A genuine AA sidecar outfit. 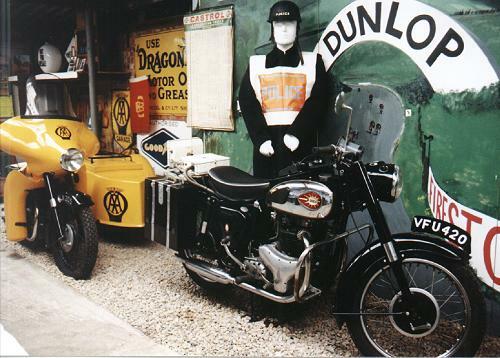 In those days the AA patrolmen would stand to attention and salute a vehicle displaying the AA badge. 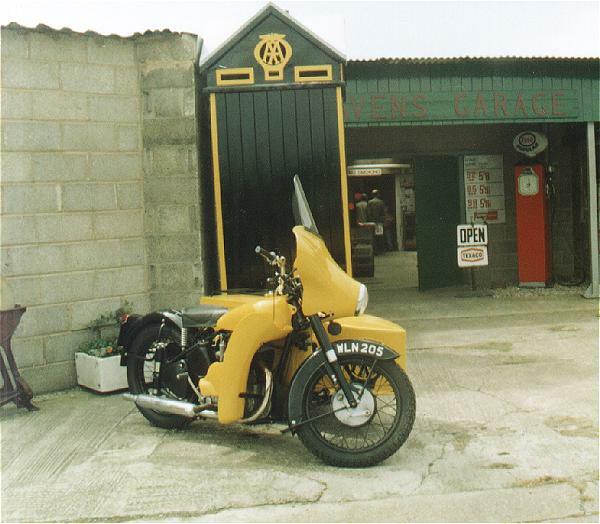 In the picture above, she is behind the 1960 BSA 650 Gold Flash used in a well-known television series situated in the rural fictional village of Aidensfield, Goathland, near Whitby, Yorkshire.